Not many two-bedroom apartments in the Phoenix area use the available space as brilliantly as Cove Apartment’s Saguaro floor plan does. 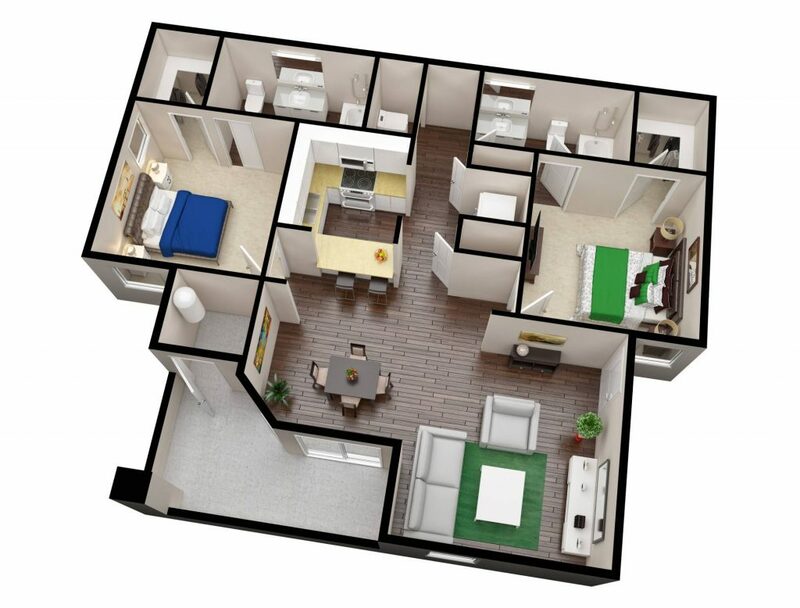 Designed by some of the best architects and interior designers, the apartment floor plan wisely makes use of 952 square feet and intricately places elements of heightened luxury and comfort. Other amenities include a patio for you to enjoy a breath of fresh air while still remaining at home and a storage space for you or your guests to store items you don’t need inside the apartment. The Cove Apartments community amenities include a swimming pool and spa, a state-of-the-art fitness center, a barbecue area, and a clubhouse, which is available for residents to rent for private parties.